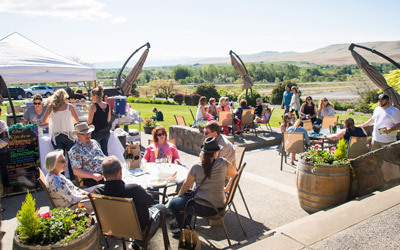 South Eastern Washington has rapidly gained recognition as a worldly platform for some of the finest vintages of French style wine. 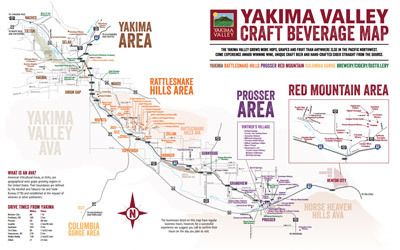 It’s no surprise either, Washington has several AVA's that are along the 45th parallel, mirroring the growing climates of Bordeaux regions in France. The sandy sage scented soil is perfect for growing vintages such as Syrah, Merlot, and Cabernet. 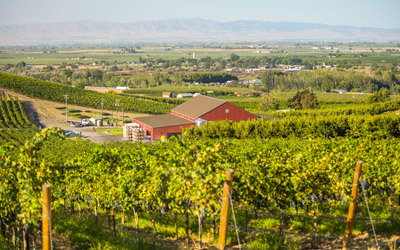 Many Red Blends out of Washington are making a name for themselves, and their wine makers. Phil Warren and his 2008 Bare Back Red are no exception either. It was the wine that started it all for him and his family. A true Washington Blend, predominately Merlot weighing in at 57%, with a 26% Cab and 17% Syrah kicker. Incredibly smooth, soft tannins, and a long dark-fruit finish with a hint of clove. There are only a few cases of the 2008 Bare Back Red left, but the vintage sparked a tradition for Phil Warren. That tradition is now called harvest. Phil now owns Tucannon Cellars, a boutique winery off of Red Mountain in Benton City. He specializes in small lots of hand crafted wine, mirroring traditional French methods that are less mechanical, and more hands on. If you find yourself wine tasting, or are interested in one of his many vintages (10 varietals already!) stop on by, have a taste!